Every day I spend with my son is a happy moment for me. Nothing compares with the joy of loving someone unconditionally and getting loved back in return. Now, more than ever, I can honestly say that being a mommy is my biggest accomplishment and motherhood is the happiest phase of my life. 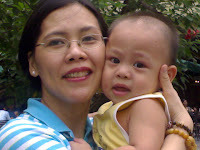 This entry was posted in Happiness, Mommy Moments. Bookmark the permalink. agree!!! being a mommy is my greatest achieven=ment too!!! =) happy mothers day!!! I agree with you 🙂 every moment with them is a happy moment despite the tantrums and all difficulty we encounter raising them. thanks for sharing. awww…its good you mentioned unconditional love…I like how you presented your pictures Mommy. It is a wonderful set. Happy Mother’s Day in Advance!!! Hi Tetch, thanks for dropping by, wow! how I wish, me and my son could go out often like you do. unfortunately, every going out is a buck. Have a great day ahead. spending each day with our little ones is indeed reason enough to be happy! 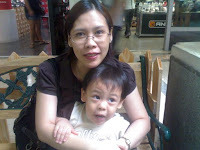 have a happy and fab mother’s day mommy tetcha!